When someone tells us that something we are eating or about to eat has all nine essential amino acids, we know we are doing something good for our body. Some of us might even know that amino acids have something to do with our muscles. But how many of us really, truly know exactly what amino acids do, and why they are important for our bodies? Why should we care that eating insects like crickets provides us with all 9 essential amino acids? 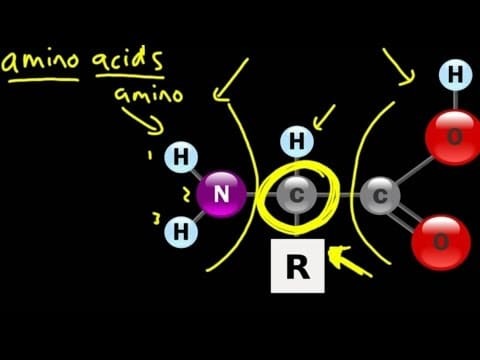 Amino acids are used in every cell of our bodies every day to build the proteins we need to survive. All organisms need some proteins, whether they are used in muscles or as simple structures in the cell membrane. Even though all organisms have differences, they still have one thing in common: the need for basic chemical building blocks like amino acids. Even though scientists have discovered over 50 amino acids, only 20 are used to make proteins in the human body. And only nine of those 20 are essential: histidine, isoleucine, leucine, lysine, methionine, phenylalanine, threonine, tryptophan, and valine. 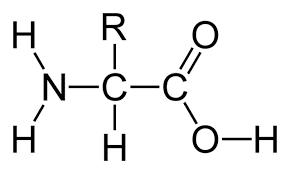 Amino acids bond together to make long chains that are called proteins. Why are these proteins so important? What are they used for in our bodies? A large proportion of our cells, muscles, and tissue is made up of amino acids, meaning they carry out many important bodily functions, such as giving cells their structure. They also play a key role in the transport and the storage of nutrients. Amino acids have an influence on the function of organs, glands, tendons, and arteries. They are furthermore essential for healing wounds and repairing tissue, especially in the muscles, bones, skin, and hair as well as for the removal of all kinds of waste deposits produced in connection with the metabolism. Food that has all 9 essential amino acids are called complete proteins. They are found by eating insects, meat, and eggs. Nuts and beans are not complete proteins, so for vegans and vegetarians, this might be an issue. 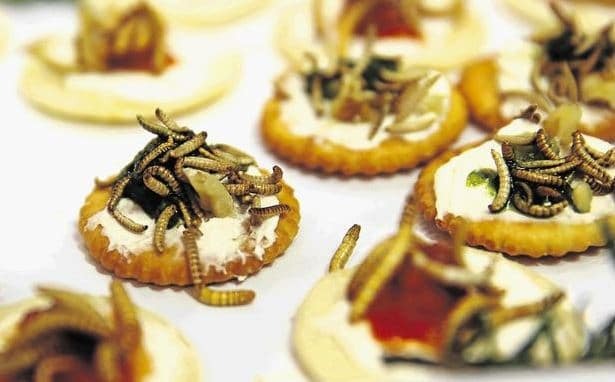 There are many vegans and vegetarians who are looking for ways to eat their proteins as opposed to taking supplements, so for them, eating insects might be the perfect solution. This entry was posted in Blog and tagged bug flour, cricket flour, cricket powder, cricket protein, cricket protein powder, eat bugs, eat clean, eat insects, edible bugs, edible insects, Entomophagy, future of food, insect flour, insect powder, mealworm flour, mealworm powder, superfood, sustainable.